Cigal Concepts | Improving the business of medicine. Improving the business of medicine. Cigal Concepts is a boutique-style, healthcare consulting firm dedicated to enhancing the success of physicians and hospitals by bridging gaps in income and providing sound business services. We view ourselves as partners with our clients, our employees, our communities, the medical field and your patients. We’re not just a bunch of fluffy-stuff healthcare experts. We roll up our sleeves and dig into the metrics. We participate in the boardroom as partners with our clients, and always exceed expectations. We tailor our services to fit the needs of each individual client. We’re nimble and quick, and we don’t believe in a ‘cookie cutter’ approach. This means we improve revenue faster and more effectively. Just ask our clients. Our commitment is to always provide superior service. We hear time and time again how our clients appreciate focusing on the clinical aspect of medicine knowing the business end is well taken care of. We believe that bringing success to the business of healthcare translates to better patient outcomes—and that’s how we’re strengthening healthcare in America. If you’d like to see improvements of 5%, 10%, 20% or more, let us do a free reimbursement analysis on your practice and show you where we can make a difference. No cost. No commitments. Contact us today to get started. 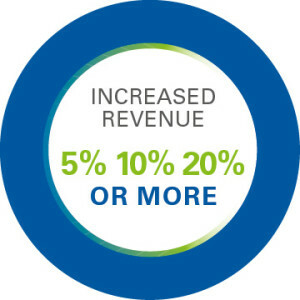 Cigal clients have improved their revenue by an average of 10-20%. Cigal clients achieve financial performance of 95% efficiency or more. Cigal clients realize additional revenue sources creating better patient outcomes. Cigal clients capture more incentive revenue. Cigal clients are satisfied with their managed care agreements. Cigal clients don’t leave money on the table. Cigal clients have a partner to navigate through regulations and requirements. Cigal clients rest assured they have experience looking out for their business. Cigal clients find opportunities others leave behind. Cigal clients enjoy an improved quality of life and peace of mind. Send us a note here and we'll get back to you.